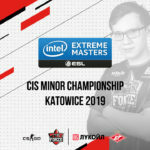 Уже завтра стартуют первые матчи в рамках CIS Minor Closed Qualifier — IEM Katowice 2019. Тут мы подробно расписали результаты всех встреч с командами, против которых мы можем сыграть. score: 12:16. Map: mirage. Bets.net Challenger Series. score: 22:20. Map: nuke(map 1). Majestic Closed Qualifier (Best of 3). score: 16:9. Map: train(map 2). Majestic Closed Qualifier (Best of 3). score: 16:8. Map: train(map 1) . MSI MGA CIS Closed Qualifier (Best of 3). score: 14:16. Map: inferno(map 2) . MSI MGA CIS Closed Qualifier (Best of 3). score: 14:16. Map: nuke(map 3) . MSI MGA CIS Closed Qualifier (Best of 3). score: 9:16. Map: inferno. Hellcase Cup 6.
score: 3:16. Map: mirage. (map 1). StarSeries i-League Season 5 CIS Qualifier (Best of 3). score: 16:10. Map: overpass. (map 2). StarSeries i-League Season 5 CIS Qualifier (Best of 3). score: 17:19. Map: cobblestone. (map 3). StarSeries i-League Season 5 CIS Qualifier (Best of 3). score: 11:16. Map: overpass. (map 1). 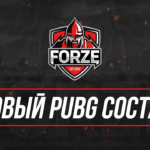 CIS Minor Closed Qualifier — FACEIT Major 2018 (Best of 3). score: 6:16. Map: nuke. (map 2). CIS Minor Closed Qualifier — FACEIT Major 2018 (Best of 3). score: 11:16. Map: mirage. (map 1). CIS Minor — FACEIT Major 2018.
score: 13:16. Map: cobblestone. (map 1). Bets.net Masters (Best of 3). score: 5:16. Map: train. (map 2). Bets.net Masters (Best of 3). score: 7:16. Map: train. (map 1). Vreecase Cup #1 (Best of 3). score: 16:10. Map: cobblestone. (map 2). Vreecase Cup #1 (Best of 3). score: 16:11. Map: mirage. (map 3). Vreecase Cup #1 (Best of 3). score: 16:6. Map: overpass. (map 1). StarSeries i-League Season 6 Europe Qualifier (Best of 3). score: 7:16. Map: train. (map 2). StarSeries i-League Season 6 Europe Qualifier (Best of 3). score: 16:9. Map: mirage. (map 3). 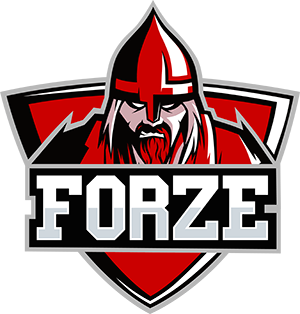 StarSeries i-League Season 6 Europe Qualifier (Best of 3).